Karney® Irregular Walkway & Patio Stone - Vertical Pallet. Karney® may be our most popular family of stone and this is a beautiful variation that instantly makes an aged, weathered looking patio or walkway. Base color is brown tones with a wide variety of accent colors that can include Dark Brown, Rust, Green and Gray. 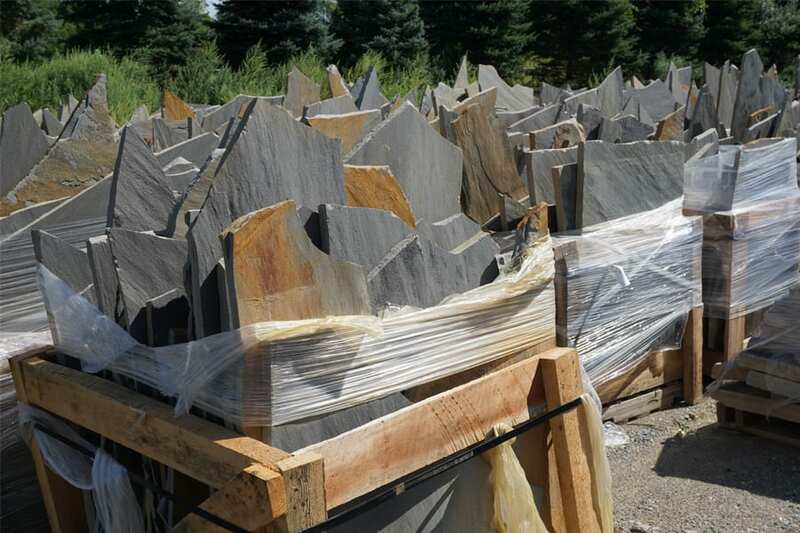 Karney® is an extremely popular variety of stone here at Wicki Stone. 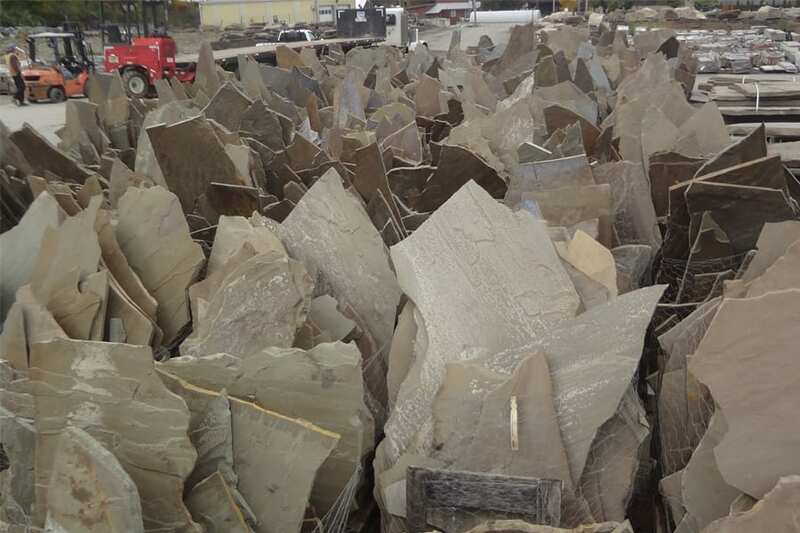 It comes in many forms including three variations of walkway and patio stone, wall stone, steps and treads, building stone, bridge and dive rocks, and placement and spill rocks. The colors are variations of brown with wonderful accent colors on virtually every piece. These are large pieces of stone and cannot be handled by just one person. 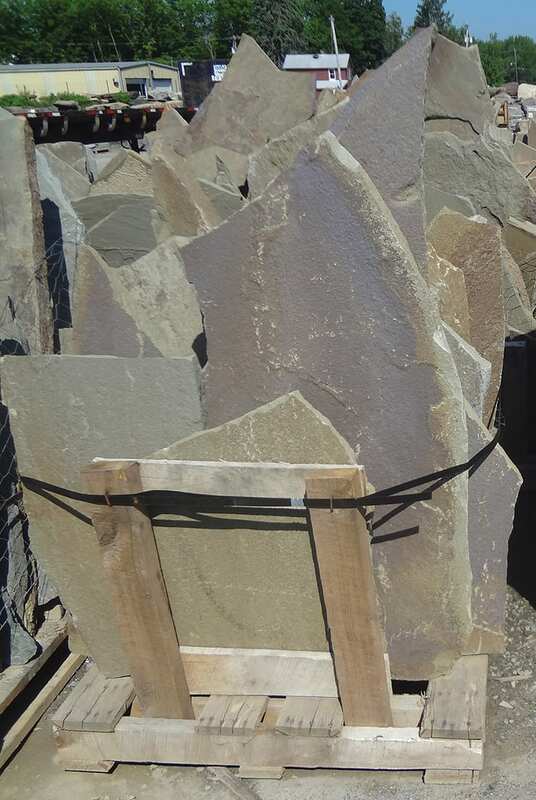 Karney is a registred trademark of Wicki Stone. The entire bluestone family of stone can look good with Karney®.